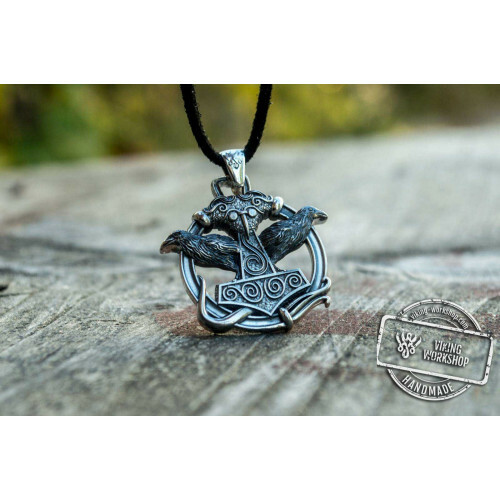 According to the legends the hammer of god Thor, or, as it’s still called, Mjölnir (from the Old Norse ‘destroyer’) was created with an excessively short handle, unsuitable for the characteristics of the hammer, because of Loki’s mischiefs. 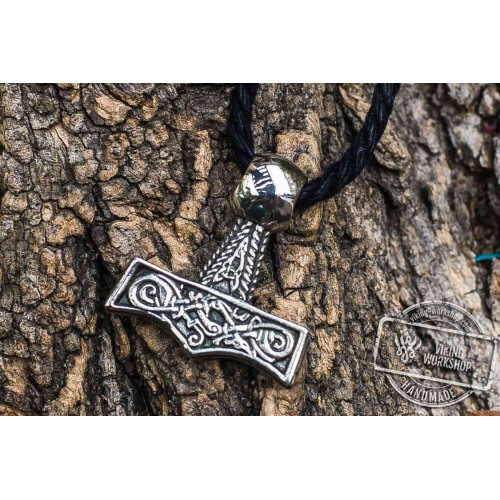 For this reason, no one could lift the hammer, and Thor used special magic gloves that turned it into a throwing weapon that came back to his hands after a throw. 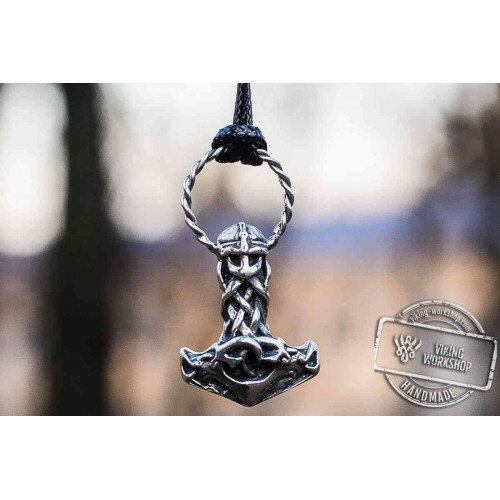 Together with the power belt it made the hammer such a powerful and strong and menacing weapon, that its use could cause thunder and lightning. 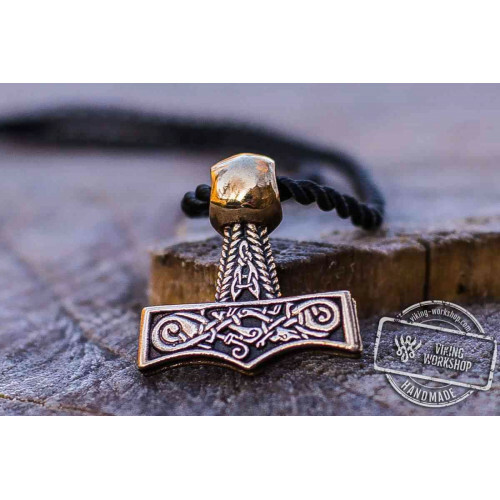 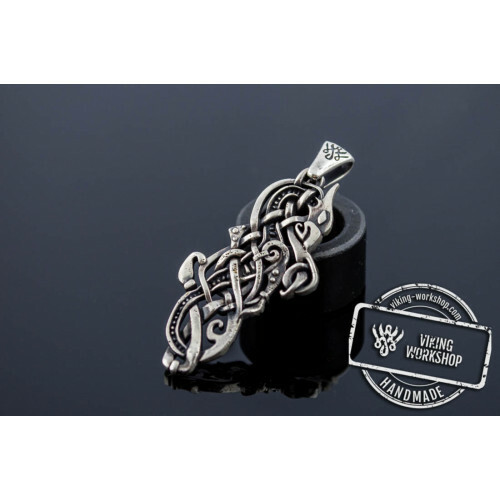 Buy Huge Thor's Hammer Pendant Sterling Silver Mjolnir from Mammen Village as a regular accessory for any outfit. 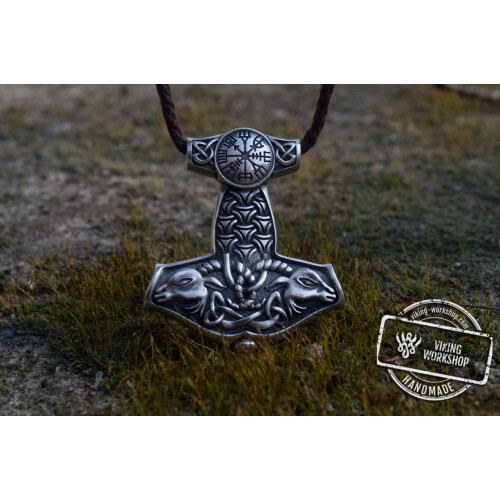 We also have a more accessible option of Huge Thor’s Hammer Pendant Bronze Mjolnir from Mammen Village available on our website. 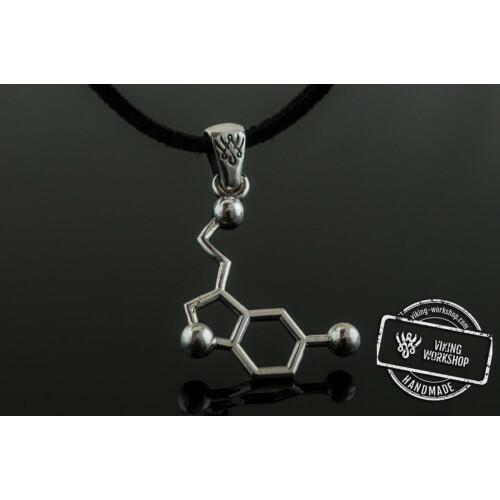 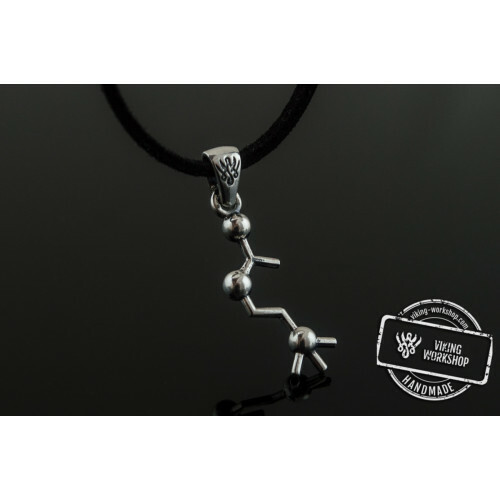 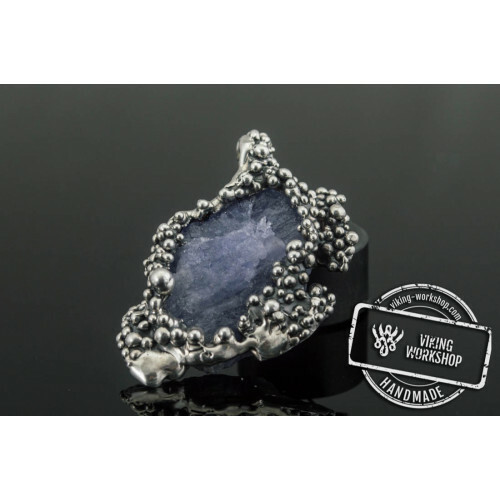 However, according to legends, wearing such an amulet provides the owner of the pendant with the strongest protection against an external influence of evil forces (both real and supernatural). 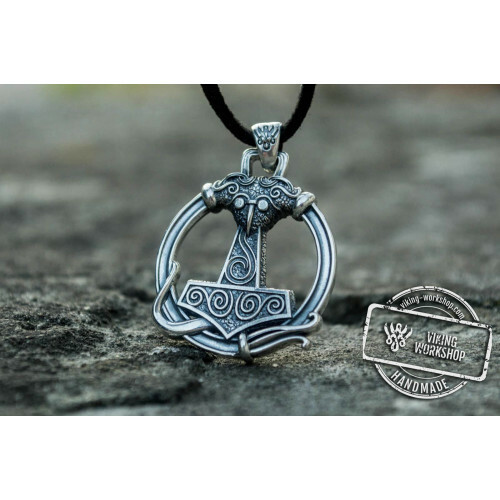 Huge Thor's Hammer Pendant Sterling Silver Mjolnir from Mammen Village viking-workshop was created on the basis of actual findings in the village of Mammen, where a lot of Viking belongings were excavated. 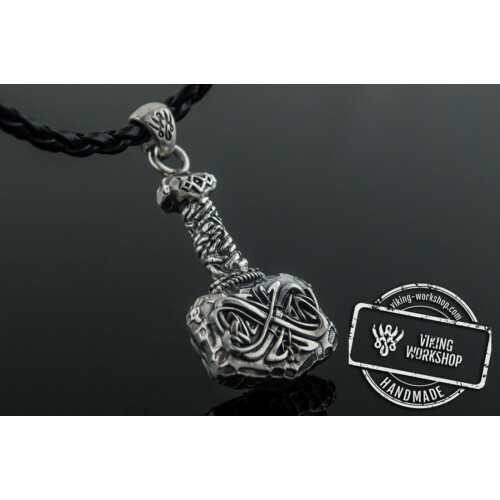 If you want to give it to a person you love, we suggest you order Huge Thor's Hammer Pendant Sterling Silver Mjolnir from Mammen Village made of white or yellow gold, 9-18 carats in accordance with your choice. 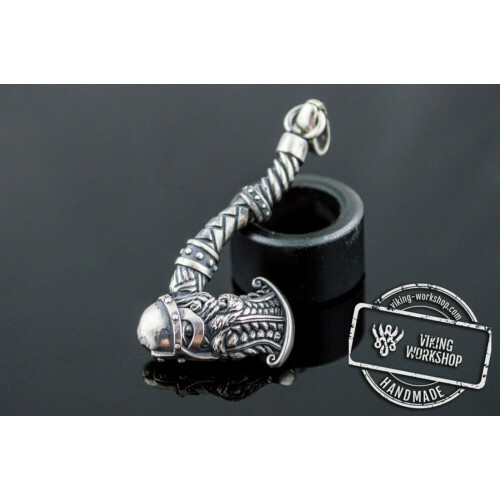 In addition, you can buy a Draupnir Sterling Silver Viking Ring, which guarantees even greater protection and goes well with the hammer.